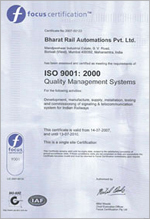 Bharat Rail Automation Pvt. 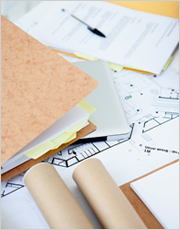 Ltd is certified to be in accordance with the requirements of the quality standards of ISO 9001:2000. 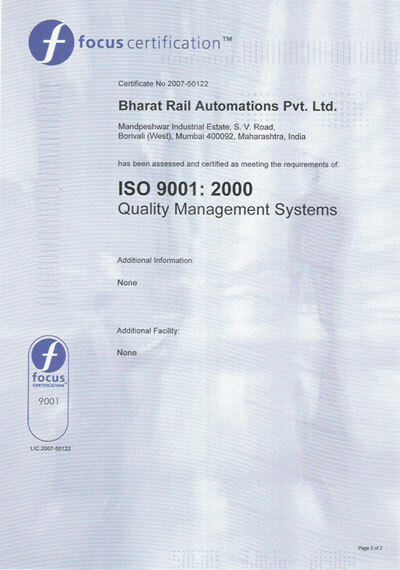 It is the policy of Bharat Rail Automation, to provide the highest possible quality of products and services to satisfy customer needs and requirements. Bharat Rail management recognizes that customer satisfaction is the most important element in Bharat Rail's business and that meeting customer needs through quality of products and services is essential to the long-term survival and its growth in a very competitive marketplace. 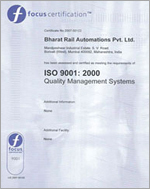 Bharat Rail is, therefore, committed to expending the necessary effort and resources to maintain a process-based integrated quality management system conforming to the standards of ISO 9001:2000 to guide activities throughout the organization and to facilitate continuous improvement in the quality of Bharat Rail Automations products and services. 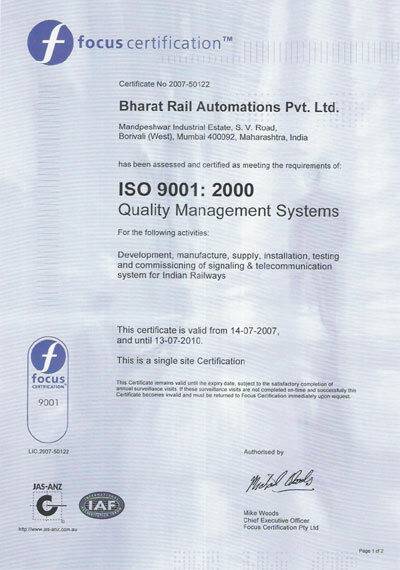 It is the responsibility of top Bharat management to actively disseminate and promote this Policy, and it is the responsibility of all Bharat personnel to understand and support this Policy and all other policies and procedures of the quality management system relevant to their work for the Company.